We don’t want you to break the bank trying to find the dog bone brand that your pooch will love the most, so we have reviewed the best bones for dogs on the market now. 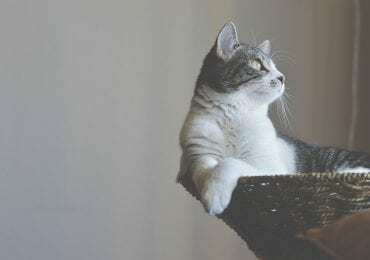 We’ve checked each product’s price range, quality (taste and ingredients), customer satisfaction, and ratings to decide which ones should we put on our list. The following bones vary from rawhide-free bone-like treats to real beef femur bones. 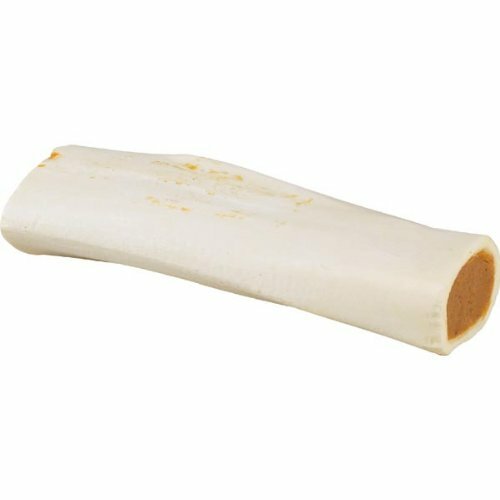 These are one of the best bones for dogs because they are large 6″ natural beef femur bones filled with peanut butter. When your pup chews on a Red Barn bone, it gently gets its plaque scrapped off its teeth. These bones are supposed to be long-lasting, with some buyers having reported about the bones lasting up to a year! While the bone portion tends to last longer than the peanut butter filling, owners can easily refill them at home. Many dog owners are happy to find that these bones are made in the U.S.A. The Red Barn peanut butter-filled bones are available in packs of 1, 2, 3, and 5 bones. 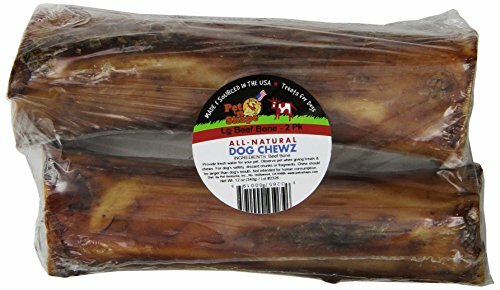 This 2-pack of 7″ beef chews is unique because the chews do not contain any rawhide, which can be difficult for dogs to digest. The ingredients are simple and all-natural, like beef, beef gelatin, brown rice, flour, eggs, olive oil, banana, and pineapple. 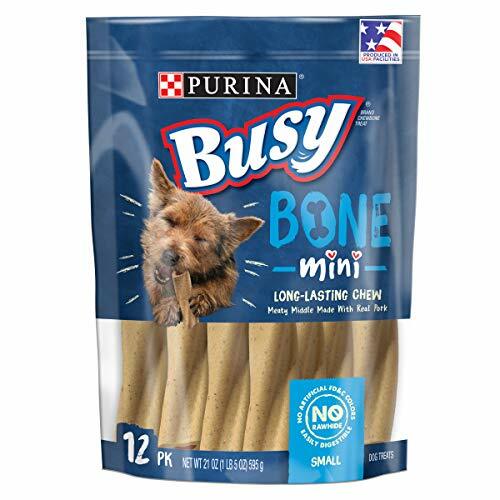 These bones are great even for small chewers and can provide long-lasting entertainment. For larger dogs, they may only last a few hours to a few days, especially if they are power chewers. These premium all-natural drumsticks contain a mix of fresh bits of chicken, duck and chicken liver with a tasty vegetable base. They are low-fat, rawhide-free, protein-rich, and have a heavenly meaty flavor. From these bones, your dog can get their essential vitamins, minerals, and omega-3 fatty acids. What’s more, the drumsticks are packed individually in packs of five pieces for extra freshness. 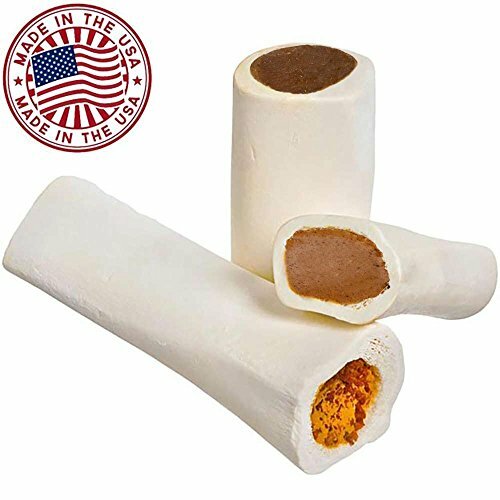 Yet another bone that is filled with a delicious treat, the Pawstruck dog bone comes in a large variety of sizes, suitable for any dog, as well as several flavors, such as peanut butter, beef, and cheese and bacon. 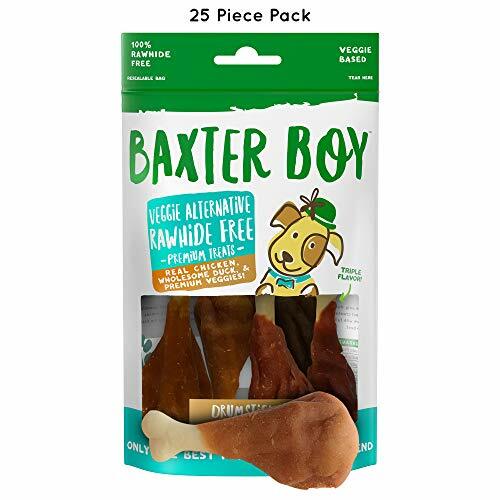 You can get separate packs of each, but you can also go for the variety pack which includes one of each type of bone if you wish to offer your dog some diversity. The bones are roasted slowly in order to preserve the smoked and meaty flavor. 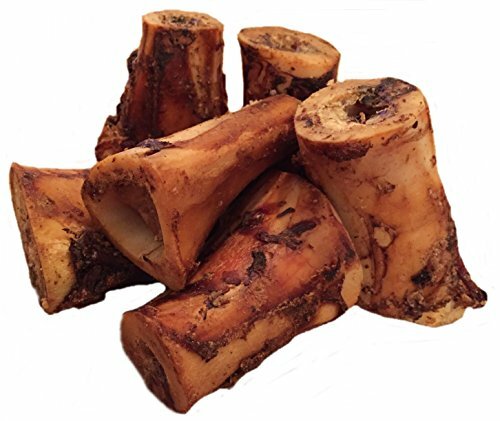 These all-natural cooked bones sourced from grass-fed cattle raised in the U.S.A. are ideal for all dog sizes. 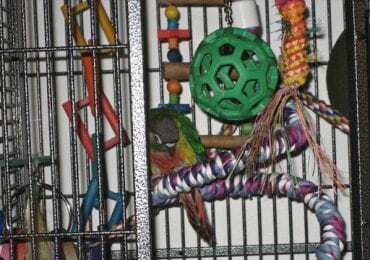 They will keep power chewers busy for hours as they do not crumble or splinter. Also, they come filled with roasted bone marrow for extra taste, but when the marrow is gone you can refill the center with peanut butter or other treat your dog loves. The Lilly’s Choice Dog Bones will hold up for several months and most dogs won’t lose interest, according to dozens of happy pet owners. 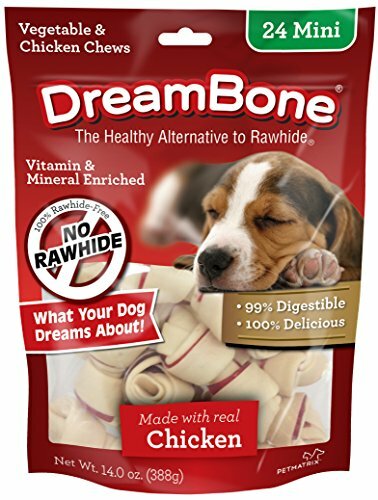 These chews are one of the best bones for dogs because they are made with real chicken and vegetables and contain no rawhide, which can be difficult for many dogs to digest. They can be used as a daily treat, and dogs seem to love them. They are available in several different sizes: mini (dogs 5-10 lbs), small (11-25 lbs), medium (26-50 lbs), and large (over 50 lbs). These bones too help promote healthy teeth while removing plaque during the chewing process. These beef bones are taken from free range, grass fed beef from the U.S.A. 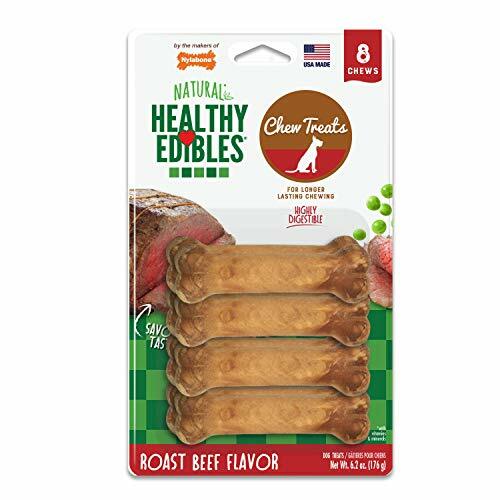 They are 100% beef bone and have no preservatives, food coloring, or artificial additives. These treats are roasted to add flavor and quality. 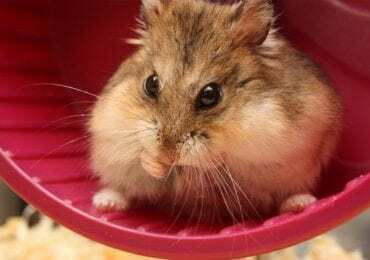 They are meaty and good for even the most aggressive chewer. Some customers state that the bones are somewhat messy at first, but after the marrow and outer part is chewed off, they no longer are. They hold up well and last a long time. 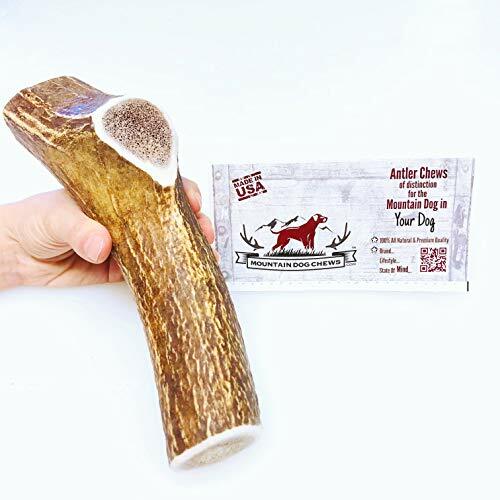 Elk antler chew bones for dogs are a healthier and eco-friendly alternative to the slaughterhouse by-products currently sold as dog bones and treats. They are 100% natural, organic, and vegan as they are not industrially processed in any way and no animals are ever harmed in the process of harvesting them (elks naturally shed their antlers every spring). The Mountain Dog elk antlers come with smooth ends to keep you chewer’s mouth on the safe side and are over-sized for you to get more bang from your buck. There is also a split elk antler variety of this dog bone. These chews come in many different flavors, such as bacon, chicken, roast beef, and turkey & apple. 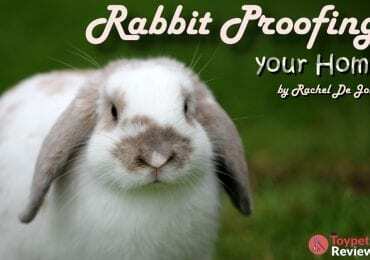 They are grain free, easily digested, and good for dogs with sensitive tummies. The treats come in five different sizes ranging from petite (for dogs up to 15 lbs) to souper (for dogs over 50 lbs). The product has no added sugar, salt, or artificial dyes and preservatives. These treats are some of the best bones for dogs because of the real-meat center that all dogs seem to enjoy. 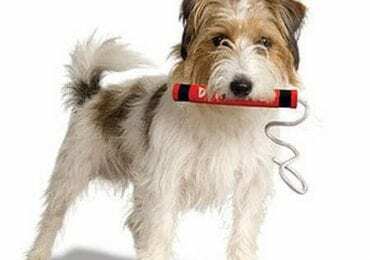 They are small and firm, which makes them a great, long-lasting treat and entertainment outlet for your dog. They contain no rawhide, which will let your dog easily digest them. The shape of the chew helps gently scrape off tartar build-up, promoting clean teeth and fresh breath. 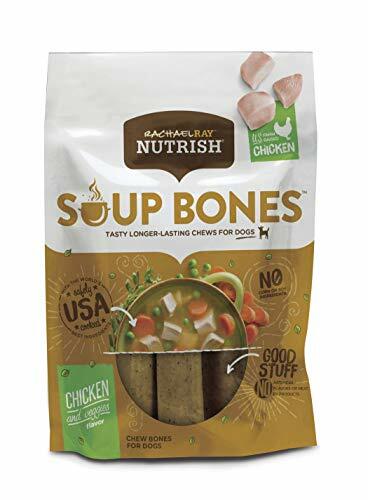 These soup bones are made in the U.S.A. with real chicken & veggies-filled enters. They do not include any meat by-products or artificial flavors. They also do not include any rawhide, so your dog will easily digest them. Dogs seem to love the soup bone flavor and the meaty middle. These are the second best bones for dogs on our list due to their overall quality, popularity, and taste. 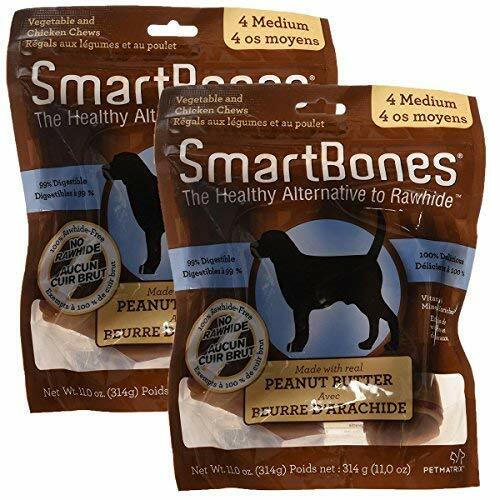 These are the best bones for dogs on our list, made with delicious, all-natural ingredients like peanut butter, chicken, and vegetables. 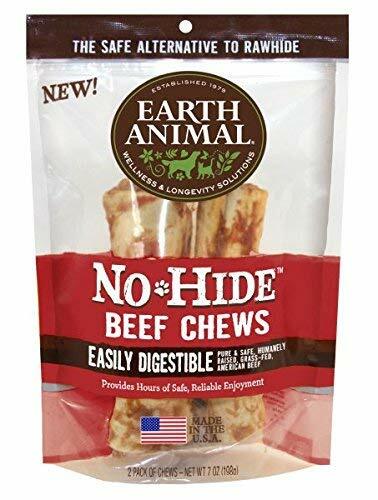 They do not contain any rawhide, so they are easy to digest. These treats are also the best because they contain vitamins and minerals to enhance your dog’s health. They also help maintain healthy teeth. But the very best part is that so many customers rave about how much their dogs love them. We’ve learned that picking best bones for dogs really depends on the dog’s size, his or her tastes, and each dog’s dietary needs. If you have a teething puppy, you might like our Best Chew Toys review. Please share with us your experience, if any, with any of these products or other products not listed here.